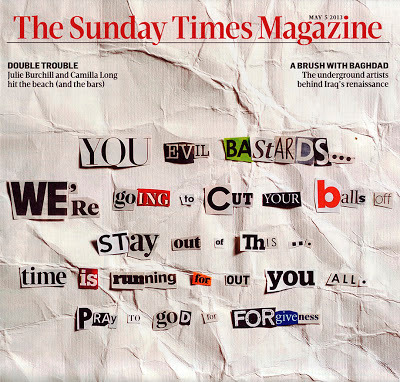 Thanks to Jon C for going to the trouble of scanning the cover of a recent edition of The Sunday Times Magazine and sending it in. 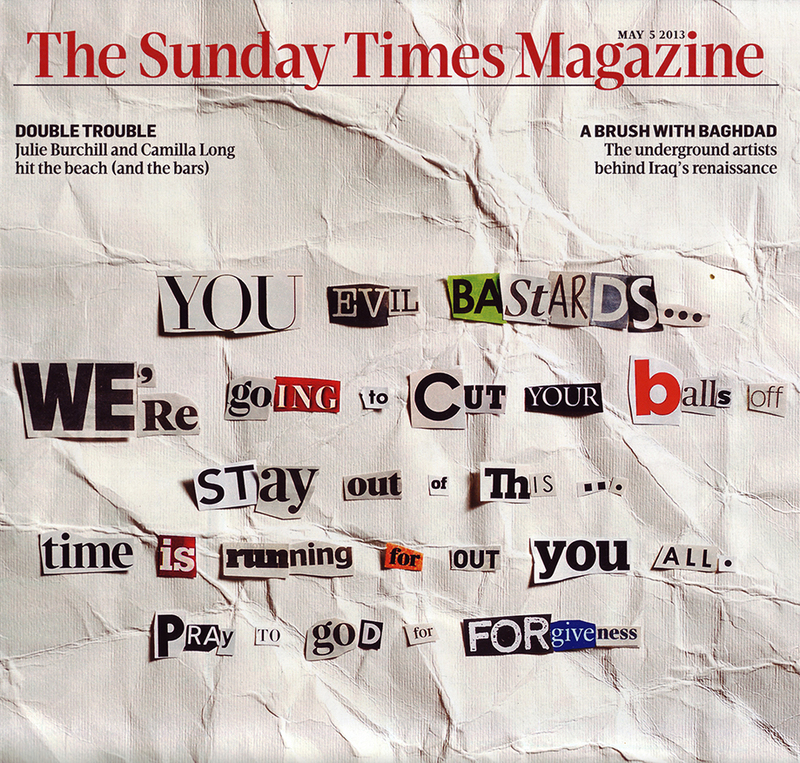 It's a spoof ransom note credited to Mat Gill and photographed by Kevin Dutton. Mat Gill is a Senior Designer at The Sunday Times. At least, that's what it says on LinkedIn. I'm sure he knows as well as anyone the importance of having your work checked. But, on this occasion, it seems that there was no one looking for out him.